After an explosive premiere (pun intended), The Walking Dead’s 5th season returns tonight with its second unsettling episode. In “Strangers”, our ever growing group of survivors are hitting the road for Washington DC. “One could guess that the episode title is referring to some new people that Rick and company will meet out on the road. Or are the ‘strangers’ themselves?” speculates a Hypable report. Rick and Carol talk through their issues. After being kicked out of the group in season 4, it’s hard to believe that Rick would still hold a grudge against Carol considering what she did for baby Judith and her massive role in the destruction of Terminus. Father Gabriel is also introduced. We also saw this in the sneak peek shared by The Talking Dead’s season premiere last Sunday. He’s up on a rock surrounded by walkers and the group saves him. Gabriel tells the group where there are food and supplies, but there are about a dozen walkers surrounding it. Daryl recognizes the car that had Beth taken away. 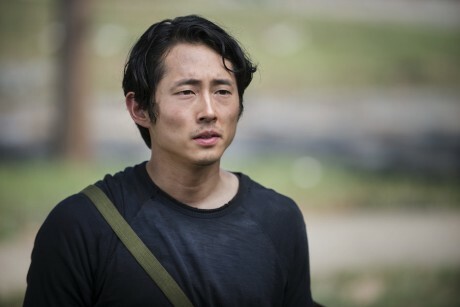 He and Carol start following it, in a car they find earlier, in hopes of locating Beth. Beth–the only member of the group not reunited in episode 1–and Morgan–who surprisingly appeared in the post-credits scene in the premiere–will not appear in tonight’s episode. We have a brief glimpse that something relating to Beth’s but she doesn’t appear in tonight’s episode. The Walking Dead season 5, episode 2 airs Sunday, October 19th at 8pm CST on AMC followed by a new episode of The Talking Dead. Can’t wait to find out what happens on tonight’s episode? Read below for the episode description. 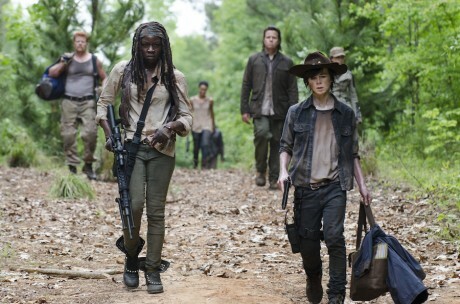 The episode opens with the group walking away from a burning Terminus, smoke billowing in the distance. 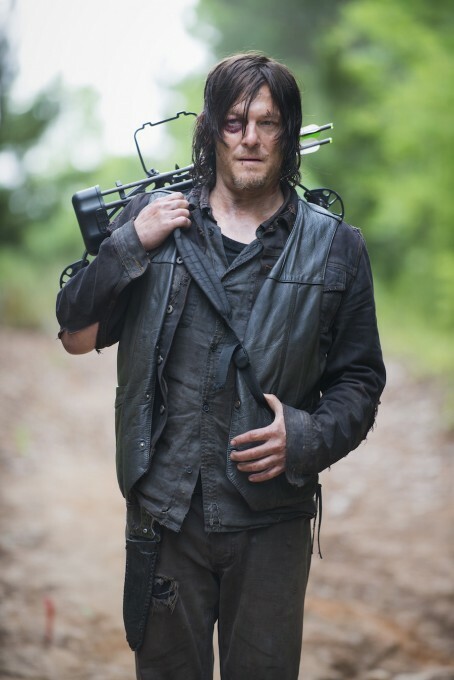 They all stop in the woods, and grab a bite to eat before deciding where they’re heading off to next, and Tara speaks with Rick about her time with the Governor. Carol and Tyreese are shown beside a stream collecting water. He asks if she’s spoken to Rick about what happened at the prison. He explains that everyone has accepted it – she wouldn’t be with them otherwise, but he encourages her to speak to the rest of the group. She tells him they don’t have to accept it but Tyreese disagrees though Tyreese explains he doesn’t want to tell them about what happened to the girls, he’d just rather forget what happened. He’s still visibly hurt by it all. As the group continue their journey up the empty road they enter the woods and come across a lone walker, Michonne takes this one and kills her. As Abraham and Rosita look on he proclaims that THAT’s why they’re waiting for their moment. They continue walking and the group are then shown around a campfire for the night. Rick approaches Carol and tells her that he owes her everything, but she says he owes Tyreese. Rick confesses that he’s not sure about what Carol did but he knows she knew things that he didn’t. It seems he’s guilty of sending her away, but she explains that he sent her away to survive – and she did. Rick wants to know that now he’s joining Carol, if she’ll have them. He agrees. Daryl and Carol are shown sitting in silence. Carol explains that she doesn’t want to talk about it, she can’t, she just wants to forget it. Daryl asks why but gets no response. He suddenly hears movement in the distance but it’s dark and he can’t see who or what it is – he says it’s nothing but there’s definitely something lurking. It’s the next morning and the group are continuing on their travels. They’re looking for tracks from what Daryl thought he heard last night but there’s nothing. Rick whistles to tell everyone to keep close together. Abraham talks to Rick about finding a vehicle – he still wants to head to Washington. Bob and Sasha are playing a game as they walk through the forest, they’re joking with each other as Tyreese looks on smiling. They kiss a few times as Tyreese asks what they’re doing. Suddenly, in the distance they hear someone yelling for help. As they run we’re shown Father Gabriel on top of a rock surrounded by walkers. He’s trying to kick them away but doesn’t appear to have any weapons. The group take care of the walkers and encourage him to jump down from the rock. He looks petrified and the group look suspicious. Trusting strangers is definitely a no go area these days. Gabriel throws up and then thanks them for getting rid of the walkers. Rick asks if he’s armed to which he replies no. Gabriel explains that he only needs God as a weapon and jokes that he called for help and help came in the form of our group. He asks if they have any food, as his has been lost to the walkers. Carl steps forward and gives him a few small pieces. 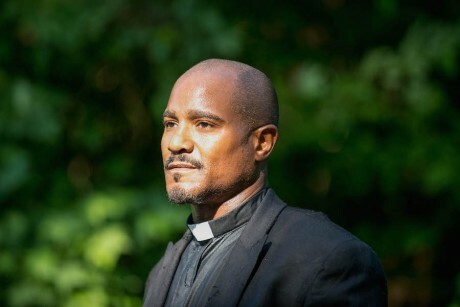 Gabriel explains that he has a church, Rick searches him and asks how many people including walkers he’s killed – Gabriel confesses none because of his beliefs. Rick doesn’t look convinced though, he says that they’ve all done something. As they begin walking towards the Church Rick asks if he was the one watching them. He explains it wasn’t him adding that he doesn’t move far from his Church. Gabriel attempts to make a joke with the group who are less than impressed. They finally arrive at the Church and Gabriel is told to wait outside while other members of the group scan it to see what’s inside – to make sure they’re not walking into a trap. For a moment, it’s tense thanks to the eerie music, it sounds like someone could jump out at any point. Carol finds books relating to religion, handwritten by Gabriel. It appears he’s writing the same part over and over again. It’s dark but it’s clear of anyone else meaning for now it’s potentially safe and it’s not long before Rick notices a supply of food. The group all return outside as Rick hands the key back to Gabriel. Abraham is still insisting on moving to Washington but no one else is interested. They’ll only follow what Rick decides. As the group trickles into the Church they more or less say the same thing, they’re not splitting up again. Bob confesses they want to go with them but they’re all sticking together, with Rick and everyone else. Rick asks where Gabriel got all his supplies. He explains that it came from an annual food drive. It lasted a while but he began scavenging. There’s only one place he hasn’t been near because it’s over run by a dozen. The group say they can handle a dozen. Bob and Sasha offer to go and say Tyreese can stay behind to watch Judith. Gabriel doesn’t want to go with them but Rick insists he’s going. Rick and Carl have a moment about trust. Rick doesn’t trust Gabriel but Carl doesn’t understand why. Rick explains that no matter where he is and how many people are around him, he’s never safe, one second and it’s over. He tells him to never let his guard down. Rick believes that Gabriel is hiding something. Rick, Gabriel, Sasha and Bob are now shown heading towards the location where Gabriel was afraid to go near because of the walkers. Bob talks Washington to Rick, it sounds like he’s trying to convince him it’s for the best but Rick explains he hasn’t decided what he’s going to do. Bob says he’s calling it, Washington will happen, Rick will eventually say yes. Carol and Daryl are shown carrying bottles of water, Daryl asks if she’s okay, she replies that she’s got to be. Daryl explains they need to start over, she saved everyone. They spot a car in the distance, Carol gets inside, attempts to turn it on but it’s dead. She opens the trunk to find a battery which appears to work. Carol insists on leaving it there for backup as the pair walk off. Maggie and Tara are out looking for supplies, inside the store they hear a noise, Glenn stumbles outside adjusting his gun. He tripped over them and made the noise. He found three silencers and explains that rule number one of scavenging is that there’s nothing left in this world that isn’t hidden. Tara looks on. The group arrive at the food bank. As they go inside, it’s dark, they search the place for any signs of life – or walkers. All they find it a hole in the ground with walkers wading around in a pool of water. It appears a leak in the roof damaged the floor creating a pit for them amongst supplies. Sasha comes up with the idea of using the shelves to keep them away and they jump down. Gabriel looks on but Rick tells him he’s going with them. Down in the pit, they move the shelves to keep the walkers away. They kill the walkers but it’s all too much for Gabriel who runs away after seeing someone it looks like he recognises – a family member? He runs away through the water, the steps out break and he struggles to the edge, Rick kills the walkers as they head to get Gabriel. As they approach Gabriel they kill a few more walkers when suddenly Bob is pulled underneath the water, a walker has him but it’s unclear whether or not he’s been bitten. Sasha kills the walker and the group make it out with supplies, they head back to the Church as Gabriel apologises to Rick, who asks if he knew the walker when she was alive – he clearly did but doesn’t say yes or no. Rick and Michonne talk about her sword, she explains that it’s not hers, she just found it when the outbreak began. The pair joke about how they’re living now, walking about in slime for some peas and carrots. 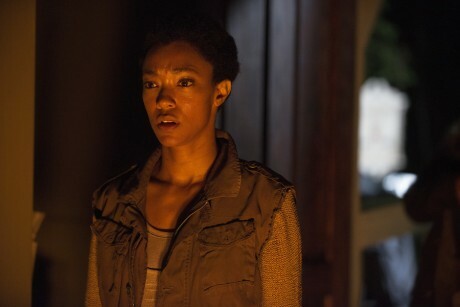 Michonne reveals that she’s missing people – Andrea, Hershel – but doesn’t miss what was before, or the sword. Rick walks up to Carl who is outside the Church, he’s spotted some weird markings on the wood. They appear to be deep scratches from people trying to get inside the Church. Carl directs his dad to something else he found, someone has carved “you’ll burn for this” into the Church wall – but what has Gabriel done? It’s night again and the group are inside the Church, Abraham proposes a toast, he talks about survival and asks if that’s all they want, to just be survivors. Once again he brings up Washington. Abraham talks Eugene knowing what can help end the outbreak. Eugene reveals that in DC there’s infrastructure created to deal with a pandemic of this magnitude. Food, fuel, refuge and restart. Abraham explains to the group that no matter how long it takes for the restart button to kick in, it’s a place of safety for the group. He tells Rick to come with them, save the world for Judith and themselves. Everyone else is clearly waiting on Rick to answer, he smirks and asks what Judith said as she made a noise. Rick says that they’re in. Sasha and Bob have another moment, she goes off to hold Judith as Bob asks for a few more kisses like he did before when they were walking through the woods. Something isn’t right. He looks at Sasha like this is the last time he’s going to see her. As she holds Judith, he walks out of the Church. Tara and Maggie speak about being at the prison. Tara explains that she was with the govonor. She didn’t know who he was, what he could do, and didn’t know about all of them. She explains that she had to tell her that she was there, she didn’t want it to be hidden. Rick walks over to Gabriel and thanks him for the hospitality. Rick tells Gabriel that he knows he’s hiding something and explains that these people are his family now and if he hurts them in anyway with what he’s hiding, he’ll kill him. Outside, Carol is at the car when walkers approach. Daryl appears behind her and asks what she’s doing. She says she doesn’t know when out of now where a car speeds past them showing the marking of the car that kidnapped Beth. They jump into the car they found earlier and follow. Back at the Church Bob is outside, he’s listening to all the chatter going on inside and walks over to the trees. He’s emotional and breaks down when suddenly he’s knocked out and kidnapped. A marking on a tree is shown similar to what we had seen last week – though it looks to have been hidden slightly? As Bob wakes up we see what appears to be Martin from the cabin in the premiere episode and Gareth from the Terminus. He explains that he’s not dead. Bob comes around as Gareth explains that hurting him or his group isn’t something they wanted to do, they’re things they got to do. Gareth adds that Bob and his people took away their home and now they’re trying to survive like everyone else. As Gareth is talking we’re shown the people back at the Church having a good time as Gareth continues talking about now they have to hunt. He talks about eating people, they didn’t start that way but they had to evolve into that – but now they’ve devolved into hunters. Gareth hopes he understands that nothing happening to him is personal adding that he would have done it to anybody – and they will. As Bob looks down he realises he’s missing his leg as Gareth bites into a chunk of meat and confesses that if it makes him feel any better, he tastes better than they thought he would as we’re shown an image of Bob’s foot being cooked as the episode ends.